Inertia, as all of us who’ve studied physics know, requires a lot of force to overcome. But, for change, the force comes primarily from within us in the elements of desire, choice, and action combined. Too often we have one of the elements of force, but not all three. Desire alone is not enough. Choice alone is not enough. Action alone is not enough. Additionally, the combination of these elements without an end result that is meaningful, better, productive, and leads to growth is a waste of time and energy. So what kind of change matters and is worth the agony of expending desire, choice, and action, no matter how much or for how long, to make it happen? Quintessential leaders initiate change, not for the sake of change (a lot of organizations and people in leadership positions do this in a kind of smoke-and-mirrors way, but it’s not change and it usually makes things worse), but instead to make things better, stronger, more efficient, more productive, and more sound. If change doesn’t help, doesn’t serve, doesn’t improve, and doesn’t produce a positive end result, then it – and we – have missed the mark completely. Too often, we as humans look for shortcuts and quick fixes, without really having a target in mind, a solid plan in place, or a sense of permanence in implementation, and we call those change. When they don’t work and/or don’t last, we are so disappointed that, too often, we throw up our hands, say “I quit!,” and revert back to the state of inertia we had before we threw something at it hoping that would be enough to make something spectacular happen. Quintessential leaders, however, know there are no shortcuts or quick fixes to lasting change that meets the criteria for real change. They heavily invest time, energy, and effort into the process and they don’t quit until the process is complete. For quintessential leaders, the end result is what is important, not what they personally have to sacrifice and give up to ensure the process gets started and keeps moving forward to completion. The kind of change, then, that matters requires the willingness to put all of ourselves on the line every step of the way and give all our heart, soul, and mind to make that change a reality. Not every change will require everything we’ve got. But we have to be willing to give that if some changes require it. That’s where quintessential leaders differ from everyone else. A lot of people talk a lot about change and how much they want it and wish for it. 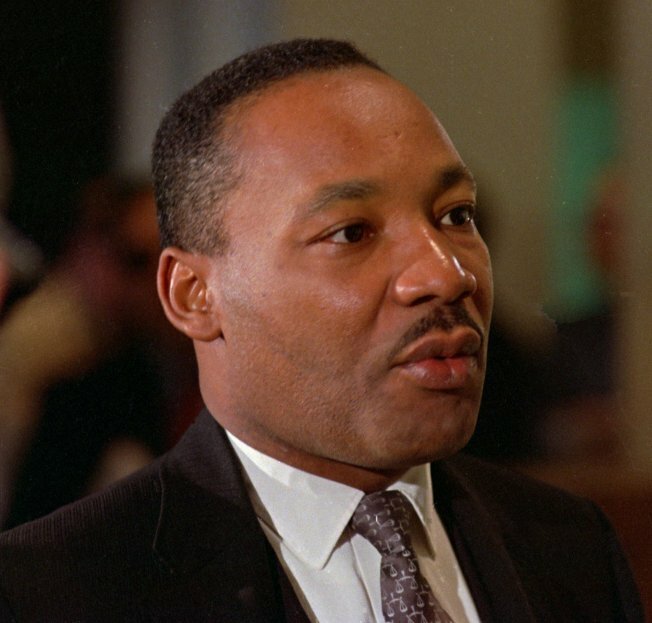 But very few people are actually willing to do and to give – and that could be, as in Dr. King’s case, their lives – and then actually execute what real change requires. Quintessential leaders know that talk is cheap and they know that action can be expensive and terminal. But they keep the end in mind, knowing, seeing, understanding that whatever they personally have to sacrifice is worth the greater benefit for everything and everyone of the final results. I challenge each of us, as we’re striving to become quintessential leaders, to look at our own lives with relationship to change. We all have to do this on a daily basis, usually at least at the beginning of the day and at the end of the day. Are we initiating change just to be changing, or will our changes have real benefit? Do we just take action without a plan because we feel like we need to be doing something? Do we decide on a change, but never take any action toward making the change? Do we have a desire to change, but leave it as just an item on our someday list? Are we willing to give up everything to ensure that a change that needs to be made happens? Our time, our energy, our effort, and even our lives? Or is no change that important for us to be able to commit ourselves that completely to? These are the questions we must ask and answer continually. They are the questions that matter in how we spend our short and fleeting lives. The answers will shape our present and our future and will impact far more things and people than we can possibly imagine if we get it right.